It’s World Poetry Day. This eclectic anthology of poems aims to teach you how to do something, at the same time as teaching you an appreciation of fine poetry. 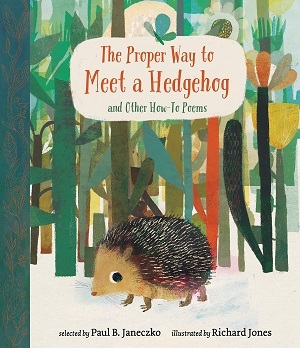 For example, titles include ‘How to Build a Poem’, ‘How to be a Snowflake’, which made me chuckle – the next generation might be surprised at the content! On a serious note, this is a beautiful selection of poetry, including old and new. ‘How to Tell Goblins from Elves’ by Monica Shannon feels traditional in tone and structure. Phrases including ‘willow clump’ and ‘coverlets of leaves’ speak to our sense of poetry as belonging to the natural world, yet contrasted with Kwame Alexander’s brilliant ‘Basketball Rule #2’, readers feel the brilliance of modern movement, poetic punch and fast flow and rhythm in its ‘Hustle dig / Grind push / Run fast / Change pivot’. Poetry become chant, become the game itself. 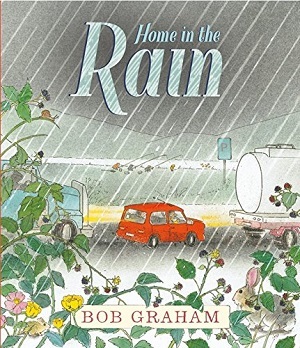 The poetry throughout is stirring and heartfelt, pure in form, and clever in wit and language, but also each subject of the poetry speaks carefully to children of primary school age – there are poems on riding bikes, playing table tennis, swings (a beautiful soaring poem from Robert Louis Stevenson – ‘Up in the air I go flying again / Up in the air and down,’), as well as bird-watching, and reading braille. The collection also tracks cleverly through time. There’s pancake mixing, toasting marshmallows and fireworks, as well as Fourth of July celebrations, trees in winter, and snow. ‘Best Friends’ by Helen Frost sums up the magical elements of poetry – the atmosphere of the ‘summer night’, the anticipated meeting of a friend, the instructions on how to blow a signal through a grass whistle: ‘hold it straight and tight -/bring grass and thumbs/up to your mouth/and blow.’ With a colour wash behind the words – which are themselves given space to breathe on a whole double page spread – the colours capture the beauty of the summer sunset: reds, blues, purples, yellows adrift across the page. The reader can almost smell the summer breeze, the magic. 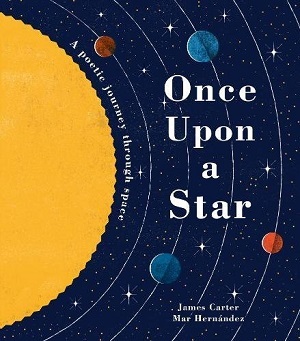 Some with repetition, some with rhyme – each poem plays with the space on the page, and has been set against beautiful illustrations that are soft and complementary. ‘How to Ride a New Bike’ by April Halprin Wayland is illustrated by a lush autumn day – the bike not the focus of the page, but rather the close-up of the hedge and animals, the bee buzzing, the dog chasing – giving a sense of the freedom and natural wonder expressed by the words of the poem: ‘Quick, quiz, Cycling Whiz’. The poem is cryptic – implying recklessness and speed contrasting with safety and surety – daring to do something. The ending of the book is smart too – the last poem in the book ‘How to Pay Attention’ comprises two lines only: ‘Close this book. Look.’ Again, beautifully illustrated to show doorway through doorway – a world of openings awaits. Wise, simple, illuminating and inspirational. Happy World Poetry Day. You can pre-order it here. Publishing 4th April 2019. This autumn a most beautiful poetry anthology for children is published. 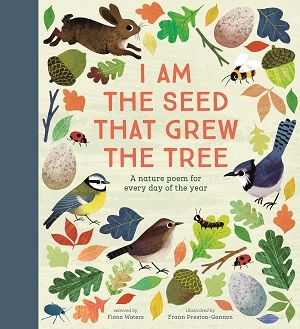 A collaboration between Nosy Crow and The National Trust, I Am the Seed That Grew the Tree contains 366 poems – a poem for every day of the year, including leap years. However, unlike other anthologies of poems for every day, these poems are thematically linked by nature. There’s the temptation to open immediately on one’s birthday, or an anniversary, but browsing through the book from start to finish gives a sublime impression of the impact of nature – from the illustrations of spring blossom through to the resplendent colour of summer flowers to the golden brown and orange glow of autumn leaves, pumpkins and bonfires. 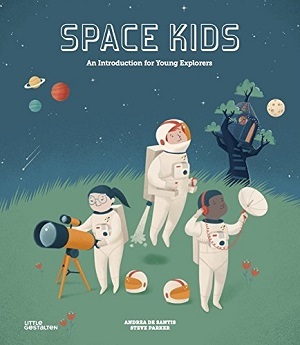 Because along with full-colour illustrations throughout, the book has been published with unrestrained, lavish production – there is a ribbon marker, a cloth cover, and thick hardy pages. In fact, it lends an authority and feeling of treasure to this book, combining wonderful poems – a magnificent collection of old and new, a mix of songs and poems, haikus in translation, (although most are English language and reflect a UK heritage and representation of seasons and nature, like The Lost Words) – with exquisite inviting illustrations. 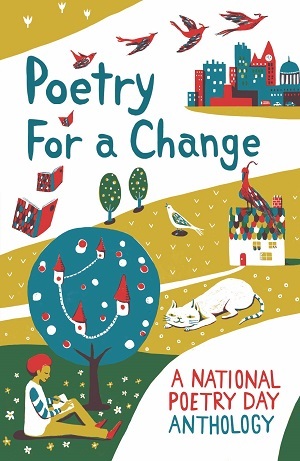 The poems in the collection include old favourites, giving comfort in their familiarity, but also less well-known poems, from 185 poets including Emily Bronte, Christina Rossetti, Thomas Hardy, Carol Ann Duffy and John Agard to name just a few, and all the poems are short and accessible. 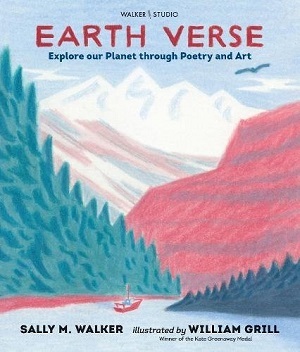 The collection is aimed at any age because although the illustrations may be child-friendly and the poems short, the book carries a trusty authoritative air as a rich poetry resource. 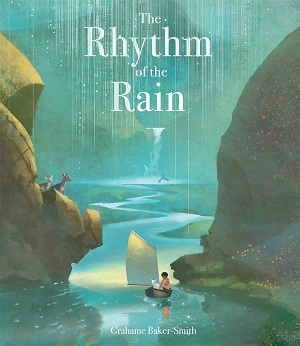 The full landscape illustrations with exquisitely detailed animals work alongside the poems to inspire both a feeling of wonder at the natural world around us, yet also a wonder of looking within ourselves to understand the possibility of ideas and feelings encompassed within a few rhythmic words. Choosing the 366 poems for I Am The Seed That Grew The Tree was a joy! Fiona Waters drew on her amazingly rich knowledge of contemporary and classic poetry to come up with the core selection, and the editor, our head of picture books, Louise Bolongaro, and I continually bombarded her with things we found, and things we loved, and she incorporated them into her huge collection. We then began the challenging task of arranging them. First of all, poems had to suit the season, and, more specifically, the month they were placed in: we had more poems about snow than we had potentially snowy days to use them in. Then, where we had more than one poem on a double page spread, we had to make sure that the poems were relatively short, so the words didn’t swamp the illustration, because the visual pleasure of this book is that it is illustrated not with little vignettes, but with big pictures, big swathes of colour. And we wanted to have a range of poems in close sequence, so that, if you read the book sequentially, simple poems sat together with more complex ones, newer poems nudged older ones, funny poems jostled up against solemn ones, and famous names accompanied less familiar voices. We operated on the ‘Field of Dreams’ principle: if you build it, they will come – they, in this instance, being customers and readers. We compromised on no aspect of this book. Only around a third of the poems, for example, are out of copyright. We had to pay for the permission to include two thirds of the poems in the book, and some of the costs were high! Sometimes, in clearing permissions, we ran into unexpected problems. There’s no A A Milne in the book, because you can’t re-illustrate A A Milne’s poetry. And who knew that several of Emily Dickinson’s poems are still in copyright because they were published in the form in which we know them long after her death? Right up to the last moment, we were shuffling poems around to get the best possible mix and sequence. I can say, hand on heart, that, in my experience a book has never been touched so lovingly by more hands as it was being made. We only hope that it will be touched lovingly by many hands now it is ready to meet its readers. 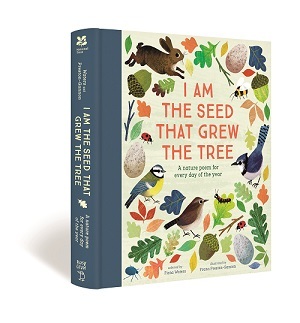 I Am the Seed That Grew the Tree is illustrated by Frann Preston-Gannon, poems selected by Fiona Waters, with an introduction by Kate Wilson. 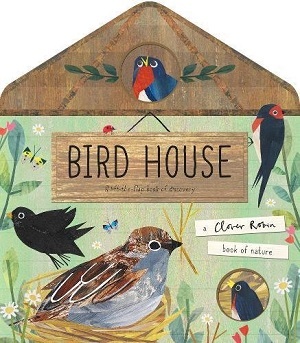 It is published by Nosy Crow in association with the National Trust, and you can buy a copy here. 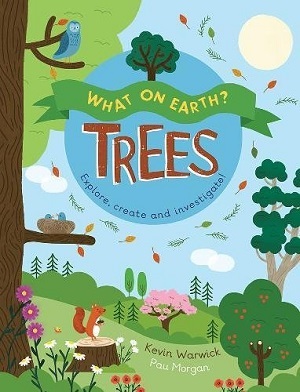 This week, out of curiosity, and stemmed from my admiration of a heartfelt and well-crafted newspaper article on the attempt to reconnect children with words to describe nature, I ordered one of the largest, most beautiful books I’ve ever seen from my local bookshop. The publishers are at pains to point out that it’s not just for children, but for all, and I would concur. 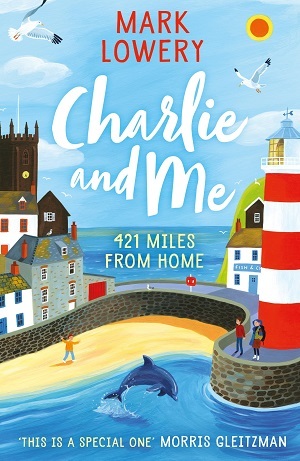 This week’s book of the week is for you as much as for your child. The Lost Words by Robert Macfarlane and Jackie Morris is an oversize book of ‘incantations’ or poems, highly illustrated in full-colour, laid out as an ABC of nature, featuring such words as fern, heron, kingfisher, newt and willow. Publishers often talk about whether a pairing of author and illustrator works – Dahl and Blake, Simon and Ross. Here, the force of the words matches the force of the illustrations in the most exquisite way. Perhaps Morris set out to create a work of paintings to rival the beauty of nature itself – a paean at least. And indeed the artwork is literally breath-taking – I gasped at the first spread on which I opened the book – the branches and leaves stood out as if in 3D. The capture of light on a glowing conker is mesmerising. The layering of the artwork, the exquisite capturing of nature in flux and flight is simply stunning. And there is a thread of gold running through the book – gold foil on the cover – and gold within that marks the book as a ‘treasure’, as something more than mundane. Macfarlane points out that it is reminiscent of medieval illuminated manuscripts, and indeed it implies that what is contained within is to be held in reverence – as with nature itself. The book runs through an ABC (although some letters are used more than once) of acrostic poems, ‘incantations’, all related to nature. Each subject is attributed three spreads – an illustrated word lost, the poem and illustration, and then a spread depicting the subject within a landscape. Or, in more poetic language – the word slipping away, the summoning poem, and the word being spelled back. When Macfarlane speaks, (having heard him on the radio), it’s like a tumbling bubbling river running over rocks; he speaks fast as if the words are so numerous he is desperate to give them voice. This is one way of reading the ‘incantations’ held within the book, just hearing the sounds the words make, like a playful witch’s spell, an inner prayer to nature, a chanting even. Indeed, it is anticipated that these ‘incantations’ are to be spoken aloud. Yet another way of reading these acrostic poems is to savour every chosen word – for chosen they most certainly are. The individual vocabulary, the way the words meet each other in phrases, the space around the words on the page. The poems reflect diversity in their literary artistry. The incantation to the bluebell uses the metaphor of water when thinking about the blue of bluebells. On the next page the picture shows the woodland floor awashed in blue, looking almost like the sea – only the fox prowling through and an owl in flight keep the image grounded among the trees. The fern breathes with alliteration on the ‘f’ sounds, and Macfarlane uses consonance with the ‘l’ and ‘r’ sounds. The heron incantation explores the relationship between urbanity and nature with its steel metaphor. There is a duality to the given title of the book. 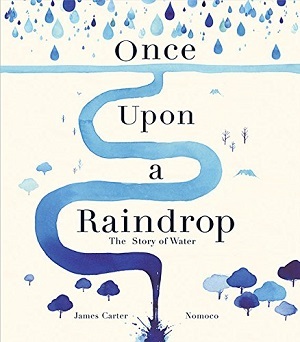 Partly, Morris’s and Macfarlane’s inspiration came following the news in 2015 that around 50 words connected with nature were being cut from the Oxford Junior Dictionary because they had fallen out of use. Almond, blackberry and crocus made way for analogue, block graph and celebrity as long ago as 2007. Naming, as Macfarlane points out, is essential: “We do not care for what we do not know, and on the whole we do not know what we cannot name.” This naming returns the lost words to our vernacular. But, the words of the landscape speak not only to knowledge, but also to the history of the land, the cultural and rural identity of the words we use to describe things. I would argue that the title also speaks to the reader who will get lost within the book, because the words and artworks are so powerful, so intoxicating. It has the power both to immerse the reader but also to enthrall the reader and entice them to look around them at the outside world. It’s a big and heavy book, quite difficult to shelve, but that’s probably because it’s not meant to be shelved. It’s meant to lie around the house or garden or field, open and inhaled. At this size and potency, it certainly won’t be lost. You can buy it here. The first poems I recall being read to me were those of Edward Lear – The Jumblies, The Owl and the Pussycat and other nonsense poems. I was around four years old, staying overnight at my grandparents’ house. Being read to before bed felt like a major treat, because being the fifth of six children meant those night time rituals didn’t happen very often at home. I’m sure back then I didn’t follow all of what I heard, but I felt the tone and mood of the poems and remember being fascinated and a little scared of the Gorey illustrations. I also enjoyed listening to the lilt, inflections and changing rhythms of my grandfather’s voice as he read. I have another early of memory of kneeling in church (I was brought up in a devout Catholic family), listening to the incantatory chants of The Latin Mass whilst leaning my head on the pew in front and sniffing the dark aroma of waxed and polished wood. The fact that I had no clue as to what was being spoken about felt almost liberating. I focussed on the music of the words alone and I enjoyed the differences I heard. That was also poetry, of sorts. Ours was a relatively chaotic and impoverished upbringing, with few toys or treats, but it was full of books and talk of them. I was an avid, early reader and literature was my escape, my entertainment and comfort. Poetry was always part of that other world I entered. I particularly remember enjoying reading the children’s poems of Charles Causely, Ted Hughes and Christina Rossetti. And later on, Spike Milligan’s Silly Verse for Kids (which at the time of publication – early seventies – seemed very fresh and modern). My father was an Irish- born English teacher who lived and breathed literature. He would quote apposite lines from poems across the dinner table to prove a point he was making, he’d named one family cat Skimbleshanks after T.S. Eliot’s Book of Cats and the other, Kinsella after the poet Thomas Kinsella. Once, aged around nine, I’d complained to him of the usual summer holiday boredom. So he sourced the Witches’ Speech (Macbeth) and challenged me and my older sister to learn it. Amazingly, we did. It was that sort of household. I don’t recall studying poetry at primary school although I do remember enjoying the ground-breaking and eclectic educational series of poetry anthologies called Junior Voices and the older, Voices that were published in the 1970’s. I wrote some poetry as a child too, though only remember doing so at home. I was an enthusiastic writer and had a natural ear for rhythm and rhyme though I never showed my efforts to anyone. It didn’t occur to me to do so, partly because I was writing for my own amusement. I stopped reading and writing poetry in my early teens. It became just something I studied at school – another subject to get a good mark in. Later, in my teens and early twenties, I subverted my love of words into listening to song lyrics; Cohen, The Velvet Underground, Love. I went on to become a special needs teacher and I raised my family. Though I continued to read literature, I didn’t pick up a poetry book or write until I was entering my forties, when life became tricky and I instinctively reached out for what felt most familiar and necessary. That proved to be poetry. Once I had rediscovered poetry, it became all-consuming. Five years later, I published my first collection The Language of Cat. Looking back, I sometimes wonder if I would have continued to explore poetry through my teens and beyond had I been given the opportunities and encouragement to share and develop my writing. What I do know, though, is that the early drip-drip exposure to poetry and its word power lay the essential foundations that made me the poet that I eventually became. Rachel Rooney is an award winning poet. Her poetry collections include The Language of Cat (which you can buy here) and My Life as a Goldfish (click here). 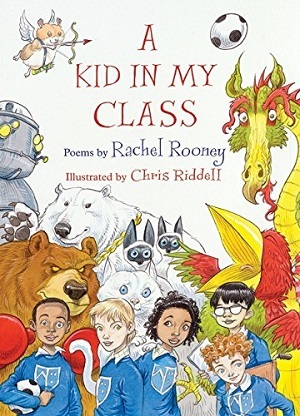 Rachel will be performing at King’s Hall Ilkely on 3rd October with The Children’s Bookshow in a lively and interactive event where she will also talk about what poetry is, how it makes us feel and where the ideas for poems come from. Rachel is a National Poetry Day Ambassador. National Poetry Day is on 28th September 2017. She chaired the judging panel for the 2017 CLiPPA Poetry Award and is a judge of the Betejman Poetry Prize.